The morning had started with a lot of fog, so I hesitated with the decision what to do this day. When I went back to my room after breakfast the sun started to break through and I decided to take a risk and drive out to Rowardennan. 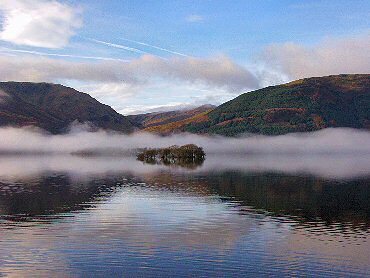 It turned out to be the right decision: When I arrived at Loch Lomond most of the fog had lifted and only a few mist patches remained. 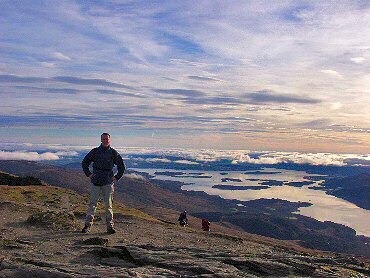 The clouds continued to break up, so I decided to make my way up Ben Lomond. 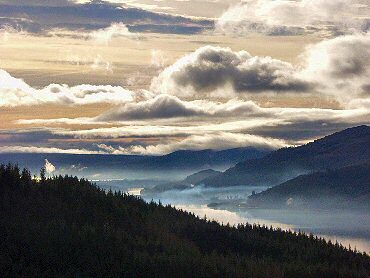 Soon I had great views over Loch Lomond with the clouds and the remaining mist creating a nice atmosphere. I continued towards the summit and after just over two hours I arrived at my destination. 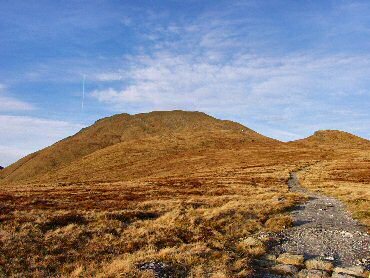 Several other walkers had also decided to use the nice weather for a visit to Ben Lomond, although it wasn't very busy. All too soon it was time to start making my way down again to avoid having to walk some of the way back in the dark. From the shoulder of Sron Aonaich I had a nice view back at Ben Lomond in the afternoon sun. 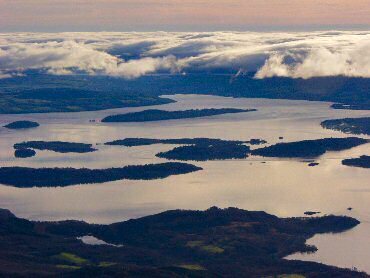 Looking south the view over the islands in Loch Lomond was beautiful, a very calm picture. 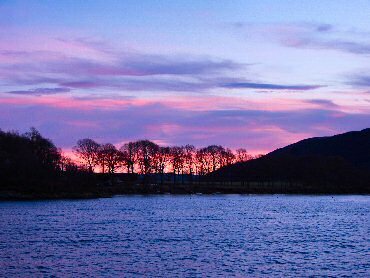 I arrived back at Rowardennan just in time for a last picture of Loch Lomond with the sun setting behind the hills on the other side. A great day outdoors was over, time to drive back to Glasgow for a shower, something to eat and some rest.